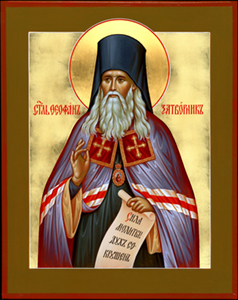 St. Theophan the Recluse: Everyone knows that a church calls for reverence . . .
Everyone knows that a church calls for reverence, for a collecting of thoughts, for deep thinking about God, and for standing in the presence of God, but who fulfills this? People go to church with a desire to pray, to stand in it for a while with warm fervour; but then thoughts begin to wander, and bargaining begins in one’s head even louder than that which the Lord found in the Jerusalem temple. Because the way one stands in church is a reflection of one’s entire life. As people live, so do they behave in church. A church influences and somewhat supports spiritual movements; but then the usual course of one’s spiritual constitution takes over. Therefore if you want your time in church to consist of worthily standing in the face of the Lord, prepare for this in your ordinary life; walk, as much as you can, in a prayerful frame of mind. This labour will bring you to the point that in church also you will stand reverently all the time. This reverence will inspire you to be reverent in your ordinary life as well. Thus you will walk ever higher and higher. Say, ‘O Lord, help’ —and begin! 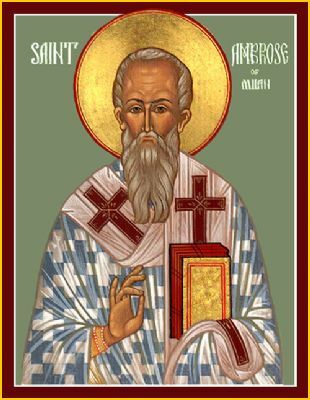 This entry was posted in Sayings from Saints, Elders, and Fathers, St. Theophon the Recluse and tagged Attending Church, Church Behavior, Help, Help from God, Living Orthodoxy, Prayer, Reverence, Standing in Presence of God, Temple, Thoughts on August 8, 2014 by .